This paper proposes an extended state observer-based robust position tracking control for DC motor with external disturbance and system uncertainties. In this control strategy, external disturbance and acceleration dynamics, including uncertainty of the input parameter, are lumped in the disturbance using acceleration dynamics. An extended state observer (ESO) is designed to estimate the disturbance and full states, whereas a position tracking controller is designed to compensate for the disturbance. The stability of a closed-loop system is investigated using Lyapunov theory. The proposed method guarantees the semi-global uniform ultimate boundedness of the position tracking error using only position feedback for unknown nonlinear systems with external disturbance. The proposed method is simple and robust against external disturbance and parameter uncertainties. In addition, only nominal parameter values of the input gain are required. 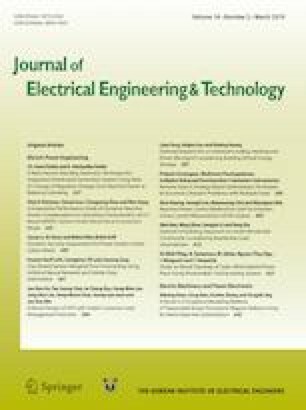 The proposed method was experimentally verified, and it exhibited improved position tracking performance compared to other methods using state feedback and ESO-based conventional DC motor models.